Usually, the Internet’s love for cats trumps almost everything in the world, ever. 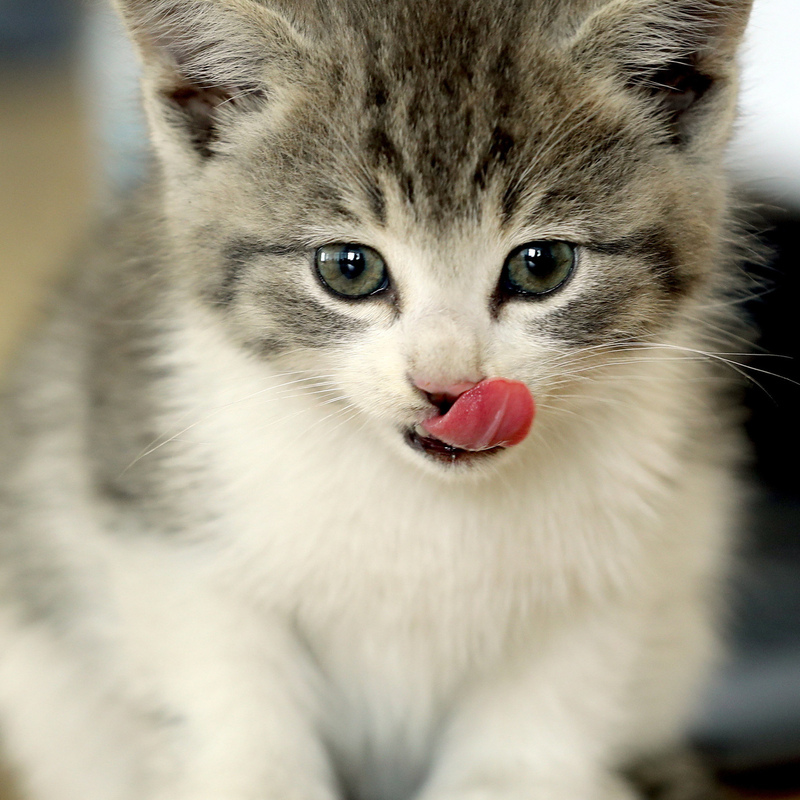 But this latest story has become a massive exception to the rule, as this cute kitten played more of a backseat role, in more ways than one. 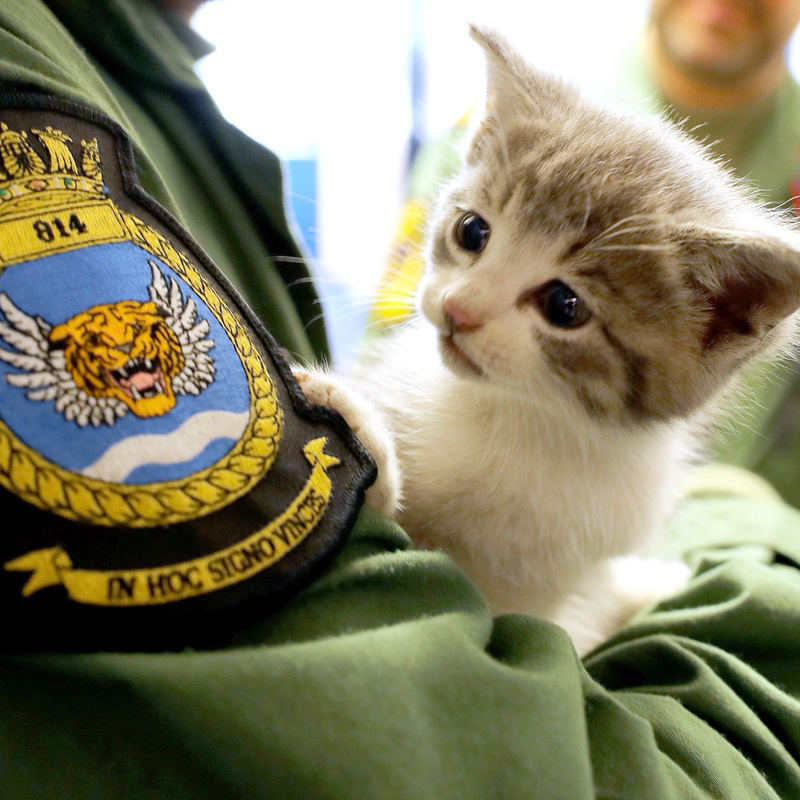 Meet Lieutenant Nick Grimmer and Tigger the kitten, who he’s just rescued after a 300-mile journey. Tigger was discovered in Nick’s bumper after he left Birmingham Airport, on Monday, and drove to the Royal Naval Air Station Culdrose in Cornwall via Bristol and Bath. During the drive home, he heard a purring sound coming from his car and looked all around the vehicle, but still couldn’t find what was making the noise. 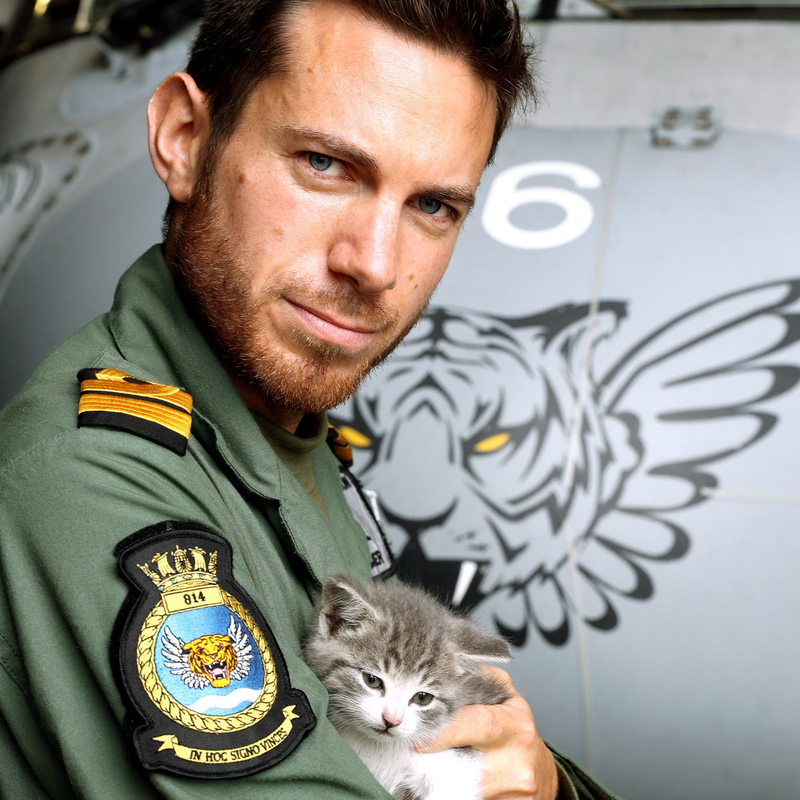 Nick, 32 – who flies submarine-hunting Merlin helicopters with 814 Naval Air Squadron, known as the Flying Tigers – finally discovered what the source was the following morning, after help from his colleagues. I called up some of our air engineers who came and helped me to start dismantling my pride and joy. On taking off the rear bumper we were greeted by a tiny tiger-striped kitten. He must have had a long journey but remarkably is unharmed. I am never late for work and was left with no option but to take my new friend in with me. 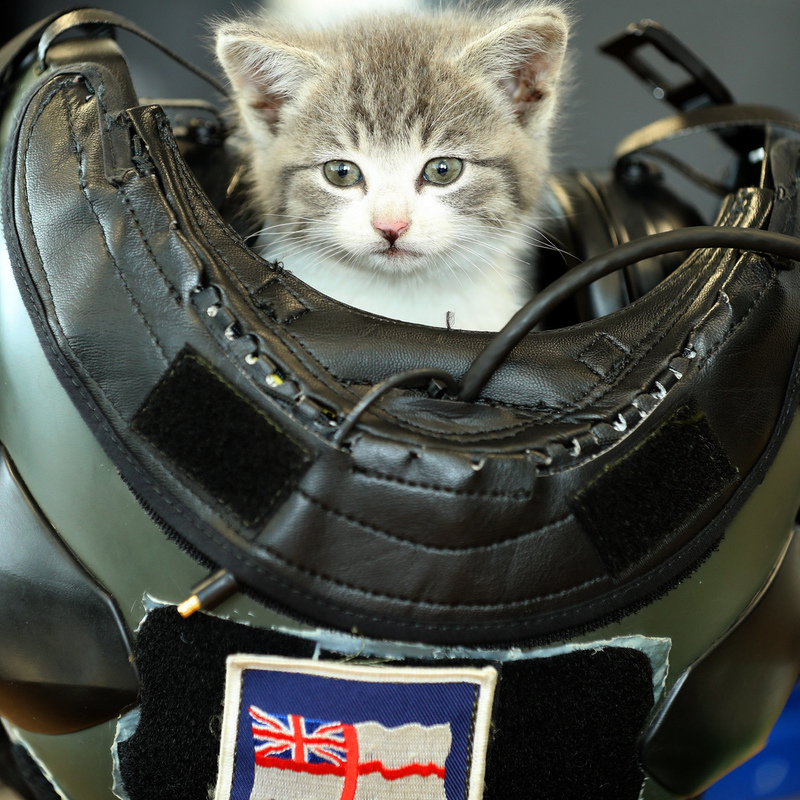 Nick added that the only place the kitten wanted to be was in his flying helmet and loved sleeping in there. Too. Damn. Cute. They’re now trying to find Tigger’s true owners, but it’s possible that the Flying Tigers may end up taking him under their wing. @itvnews very sweet and having seen the pilot I’d probably have done the same ? @itvnews seeing the pilot, I would’ve clung on to his bumper too! ? cute story! Comment from discussion sonia72quebec’s comment from discussion "Kitten survives 300 mile trip in Royal Navy pilot’s car bumper. Now likes to sleep in his flying helmet.". Comment from discussion meatlazer720’s comment from discussion "Kitten survives 300 mile trip in Royal Navy pilot’s car bumper. Now likes to sleep in his flying helmet.". Comment from discussion Snarfler’s comment from discussion "Kitten survives 300 mile trip in Royal Navy pilot’s car bumper. Now likes to sleep in his flying helmet.". Comment from discussion ElectricWraith’s comment from discussion "Kitten survives 300 mile trip in Royal Navy pilot’s car bumper. Now likes to sleep in his flying helmet.". Thanks guys, you’ve ruined it.